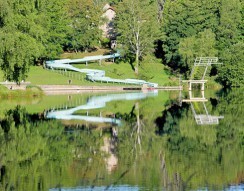 The myriad rivers, streams and lakes of the Limousin. The countryside here is unspoilt, full of history and ideal for outdoor activities. 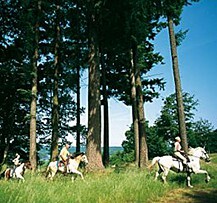 A walk, cycle ride or pony trek along the upper Dordogne valley is still a wild and magical experience. The Millevaches Natural Park offers stunning views from the heights of the Massif Central and in Corrèze local farmers’ markets and food specialities (Limousin cattle, soft fruit and chestnuts to name but a few) abound from Treignac to Bort-les-Orgues, Pompadour to Tulle, so region has more to offer than just the great outdoors. 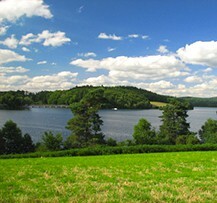 Choose a campsite in the Limousin and explore this region of vast lakes, wide open spaces and so much more besides. 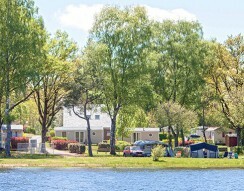 This site overlooking the Lac du Causse in the Limousin promises a great camping holiday and the chance to explore the surrounding hills, villages and walking trails. 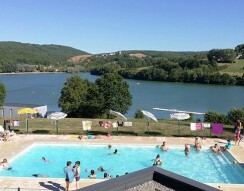 With access to a lake with a swimming area and plenty of activities for young and old alike, this campsite in the Limousin is ideal for a great family holiday. A little port lying in a sheltered bay, the blue water of the lake stretching as far as the eye can see… Come and enjoy nature at its best in Corrèze and swim, sail or canoe to your heart’s content. 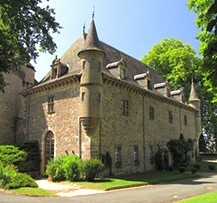 The Limousin is known locally as the “water tower” for its many rivers, streams and lakes and this upland plateau, together with the Corrèze, Vienne, Creuse, Cher and Dordogne rivers which run through it, offers a varied landscape of fertile plains, wooded gorges and rolling hills. 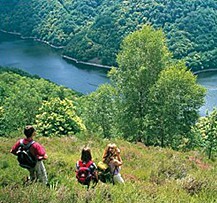 Don’t miss your chance to visit Mont Bessou, the Monts de Blond hills, the Dordogne valley and the Millevaches plateau. 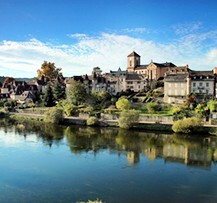 The Périgord-Limousin Regional Natural Park, situated at the border of the departments of Haute-Vienne and Dordogne, is just 30 minutes from Saint-Hilaire-les-Places. It offers an exciting range of things to see and do including a troubadour fortress and medieval festivities at the Château de Lastours and the chance to visit a walnut oil mill or try your hand at gold panning! Take advantage of the numerous walking trails around your campsite in the Limousin and discover the magic of its rolling, wooded hills on foot. You’ll also find a number of specially designed and signposted cycle routes for those who prefer to do their exploring on two wheels. Ideal for horse riding, the Limousin boasts a large number of riding schools and centres offering a range of equestrian activities for young and old alike in a warm and friendly atmosphere. The pure spring waters of the three “great lakes” of Bariousses, La Triouzoune and Vassivière will delight water sports enthusiasts and nature lovers alike. In addition to a host of land- and water-based sports, you can also take a ride in a hot air balloon or microlight or try your hand at parachuting with one of the many clubs based in the Limousin. The locally grown bilberries, chestnuts, mushrooms and potatoes that feature so prominently in the Limousin cuisine. And to finish off your meal, how about some delicious cantal cheese or a slice of cherry clafoutis, the region’s best-loved dessert, all washed down with a glass of Limousin apple cider! 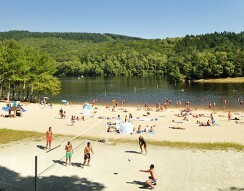 There’s so much to discover on a camping holiday in the Limousin !